Another puppy adopted. Monkey went to a fabulous home that loves him very much now. Hooray for Monkey! Would you like to adopt a puppy, dog, kitten or horse? 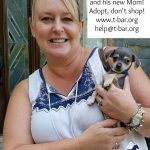 Check them out at www.t-bar.org and email help@t-bar.org to arrange to adopt! Two more of our chihuahua mix puppies have been adopted! Betty Lou and Jesse have families of their own now. 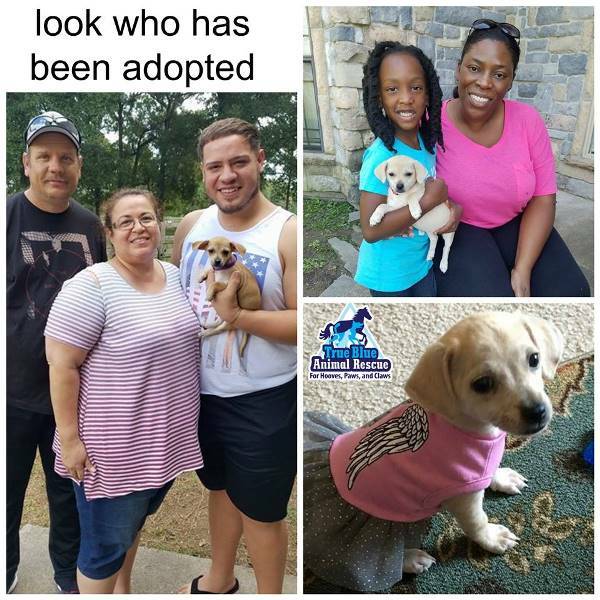 We just love seeing our rescue puppies in new homes. If you’d like to adopt one of the pups that is still available, email help@t-bar.org or call 936-878-2349 so you can arrange to meet them. Temporary foster homes needed. Please join our team by becoming a foster home and help these pups. They are the survivors from a littler that was left on the side of the road in Washington Co, TX. A good samaritan was kind enough to take them to Brenham Vet as long as True Blue Animal Rescue would take them in. We were happy to find out they have worms, infection and demodectic mange which is not contagious. They are now vaccinated and have been treated for the mange, worms and infection. They will remain at the vets office for the weekend. All they need now is a foster home to take care of them until they find a forever home. 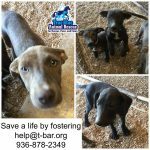 They are 5 month old, medium sized catahoula / lab mix puppies. 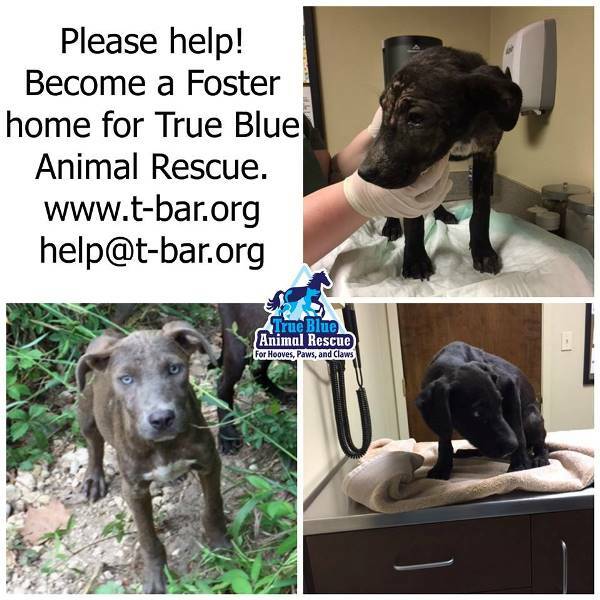 Contact True Blue Animal Rescue if you can foster one, two or all three pups. 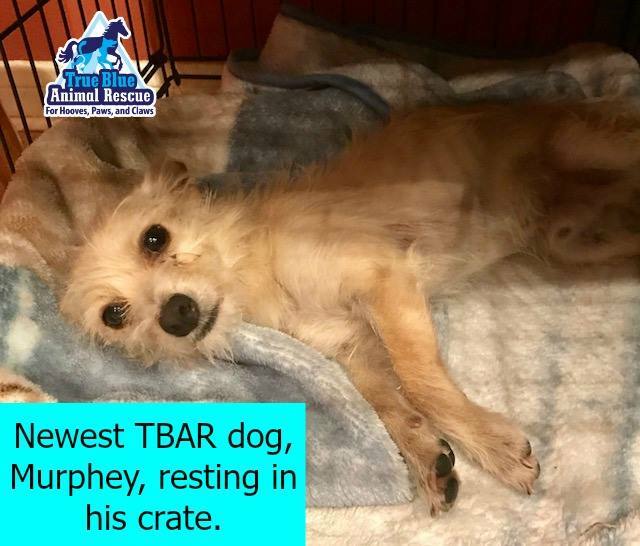 help@t-bar.org or 979-277-4746. Rescued from certain death on the side of a road in Washington Co, these little pups are hopeful that someone will be able to foster them. All they need is a safe yard to run in and someone to feed and pet them. We can’t afford to pay to board them at the vet clinic much longer and all of our current foster homes are full. 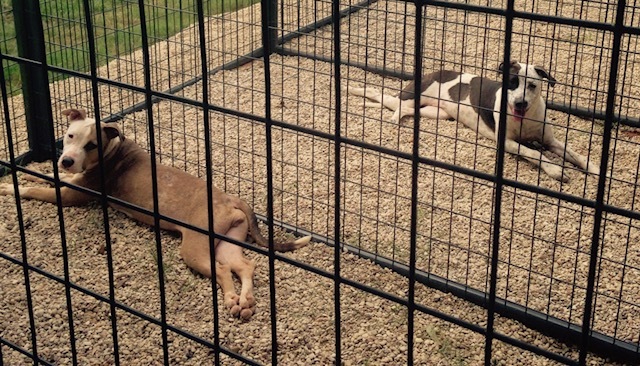 Please help by temporarily fostering these sweet 16 week old pups. 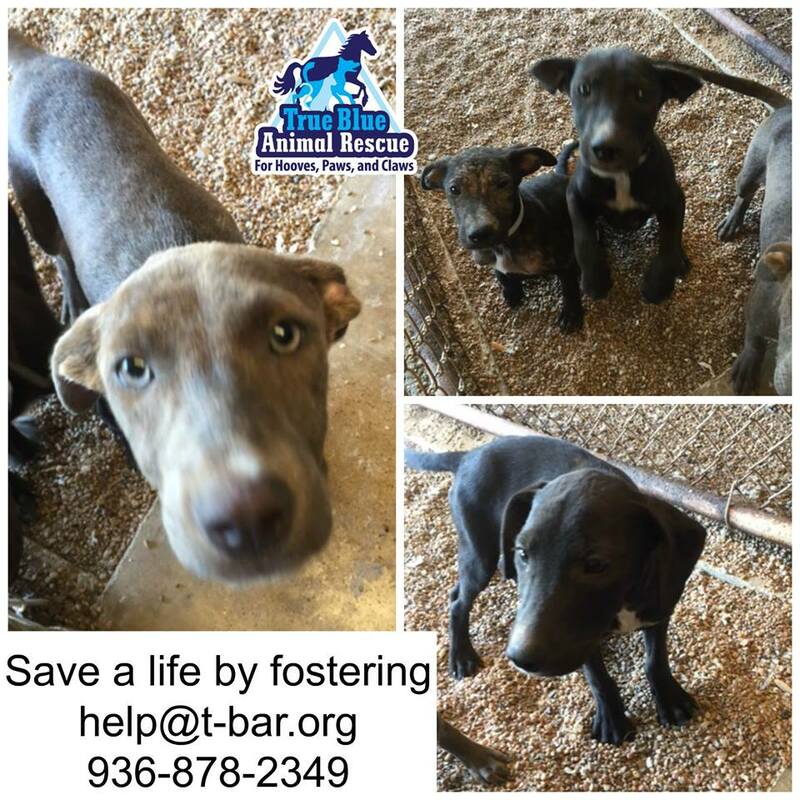 Call 979-277-4746 or email help@t-bar.org if you can help. 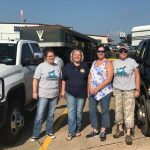 True Blue Animal Rescue submitted a request to support the Houston SPCA by transferring some dogs from their shelter into rescue on September 4th, 2017. 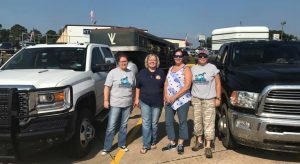 Kylie Roach, Animal Community Coordinator for the Houston SPCA, responded on September 14 with rescue partner paperwork and an application to submit. 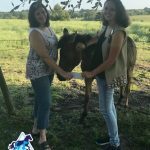 After submitting the application True Blue Animal Rescue was officially approved as a rescue transfer partner with the Houston SPCA on September 19, 2017. 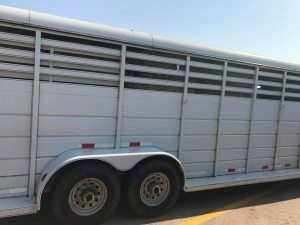 In the application the rescue requested to transfer pit bull and pit bull mix dogs, so Kylie sent pictures of four pit bull mix dogs for True Blue Animal Rescue to transfer. 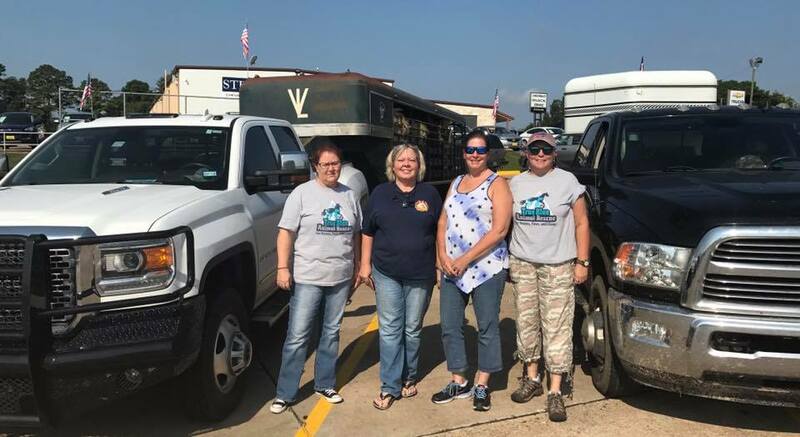 Dale DeAeth, Facility Manager and Melanie DeAeth, President of True Blue Animal Rescue, drove to Houston SPCA to pick up the four dogs on September 23rd. All four dogs had been given all of their shots and were spayed, dewormed and tested for heartworms during the time that they were at the shelter. 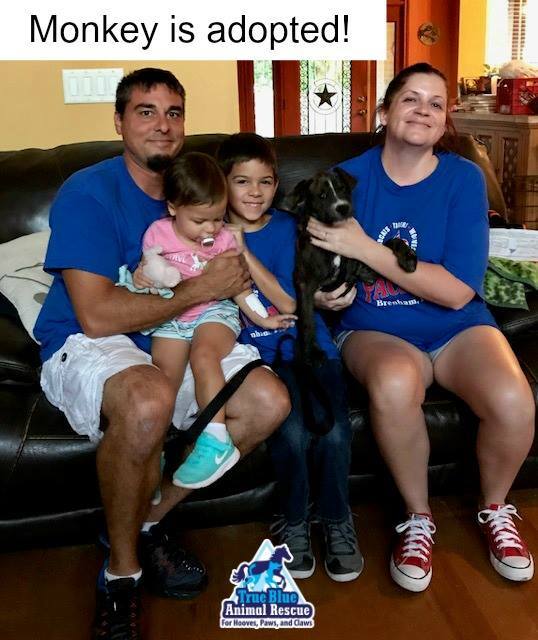 Melanie and Dale didn’t ask what their policy was but it is their belief that if these dogs were going to be euthanized the Houston SPCA wouldn’t have taken the time or spent the money to have these things done. Emmy, Blanca, Megan and Dottie, four gentle and friendly mix breed dogs, are now available for adoption through True Blue Animal Rescue. Melanie and Dale have been taking in Bully Breeds since beginning True Blue Animal Rescue in 2004. Dale purchased his first pit bull in 1982, before the breed had been labeled as a vicious dog. He has always owned pit bulls since and is partial to rescuing bully breeds through True Blue Animal Rescue. 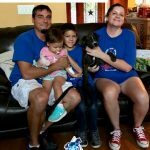 He understands the challenges of caring for and adopting out this high energy terrier dog, also known as an American Pit Bull Terrier. Anyone who owns a terrier knows what a loyal, stoic and fearless dog they are. These qualities have been used against the pit bull by cruel owners who have exploited and abused them. Bully Breeds are the hardest dog to find homes for and yet there are more bully breeds in rescue than any other. Sadly, without more options for all of these dogs, many are euthanized. 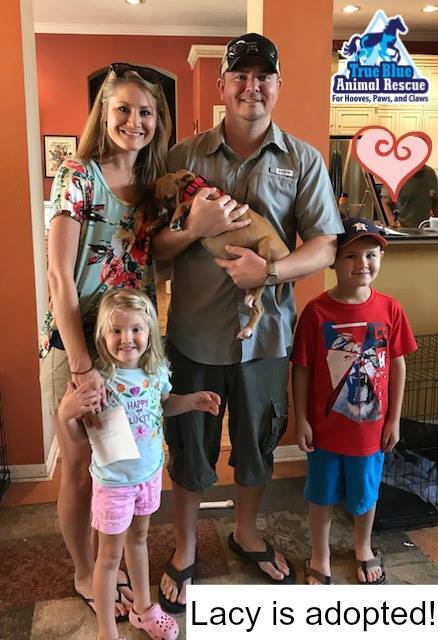 Dale and Melanie were happy to be able to take in four from the Houston SPCA, doing their part to help find homes for a few more of these misunderstood dogs. One of our foster homes named her nine foster pups after Sesame Street Characters and calls them the Sesame Street Group. Oscar was adopted but there’s still several left that need new homes. These sweet babies are chihuahua mixes and will only be about 10 pounds when grown. Take a look at them and then email help@t-bar.org to find out how to adopt! One of our puppies was adopted this week. 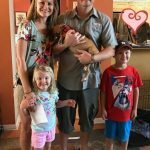 Lacy has a wonderful new family and a boy and a girl of her own now! Would you like to adopt a puppy? 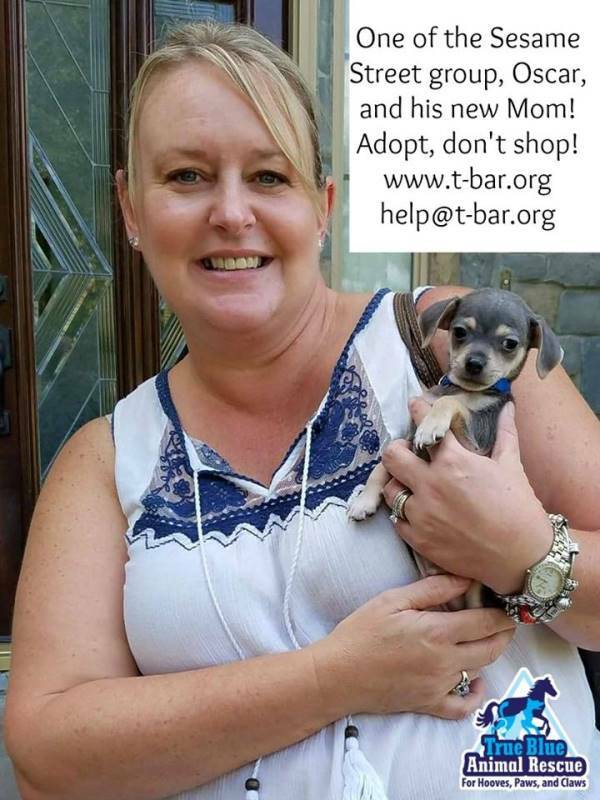 View our adoptable dogs and email us at help@t-bar.org to find out how to adopt! 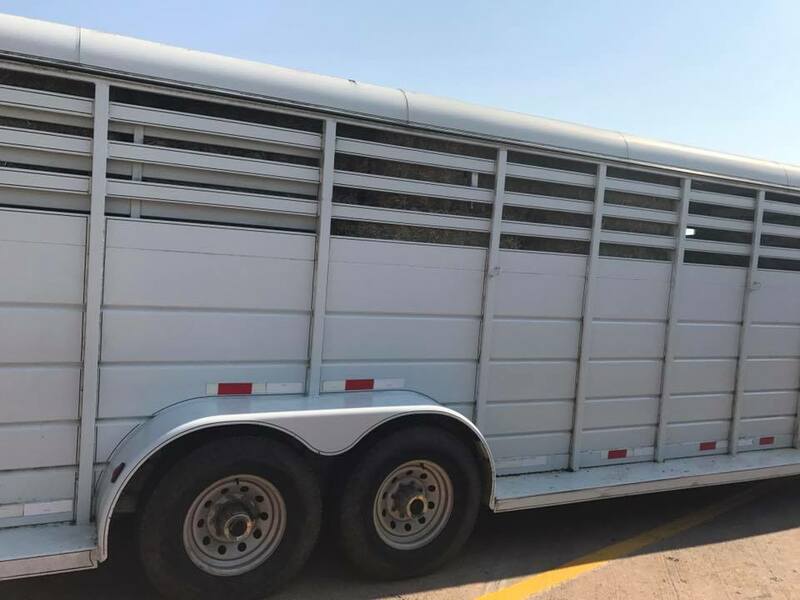 Update: Thanks to your donations we were able to buy the kennel panels and pick up the dogs. We still need to get dog houses for them before it gets cold. Please donate to help us purchase dog houses. 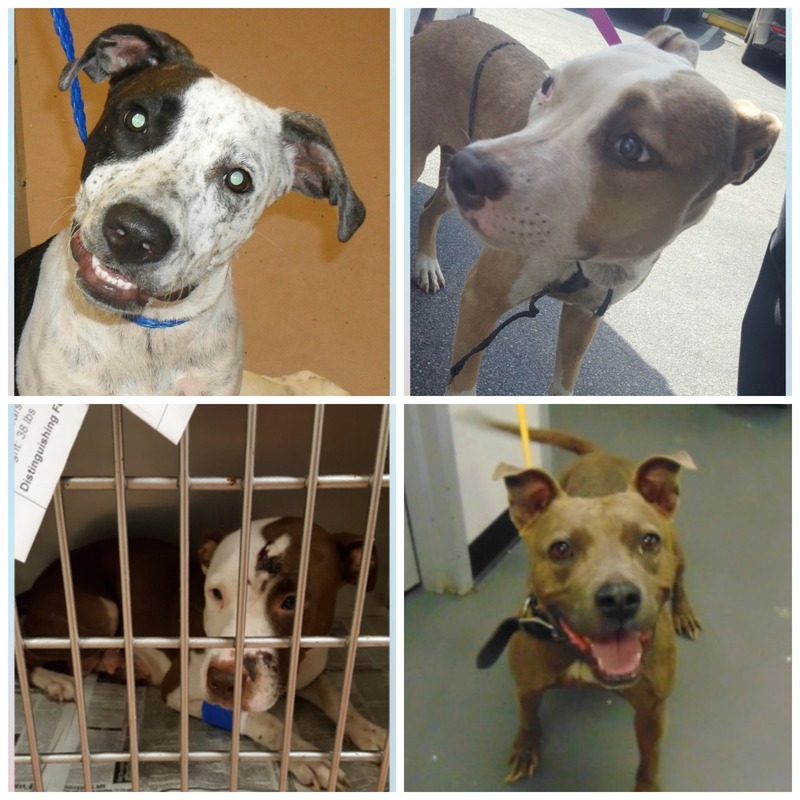 We were approved to be a rescue partner with the Houston SPCA this week and were asked to take these four dogs that were not claimed by their owner. We have room for two but they showed us four pictures and we would really like to take them all. In order to do that we need to set up a couple more kennels and get them some dog houses. We need your help to do that. 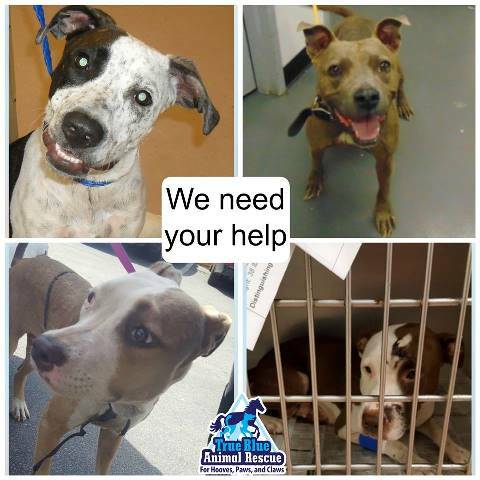 Please donate to help us save all four of these babies. 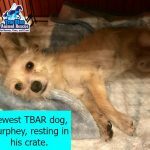 Donations can be made via paypal on our website www.t-bar.org or on our facebook page. 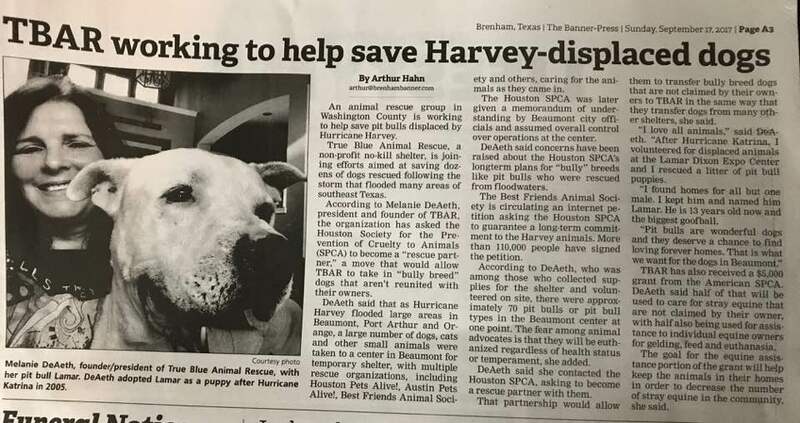 Checks can also be sent to True Blue Animal Rescue, PO Box 1107, Brenham, TX 77834. We’d like to pick them up from HSPCA this weekend. 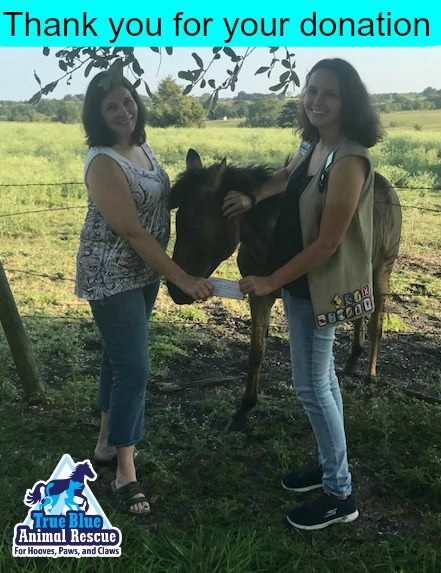 Sara earned money while in the girls scouts and decided to donate it to True Blue Animal Rescue! 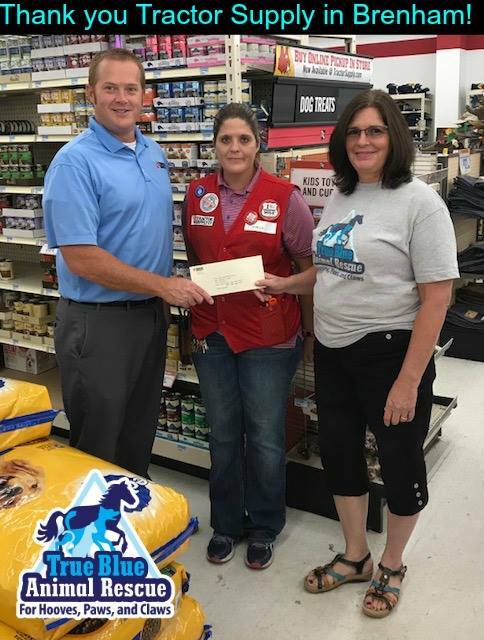 This donation will go a long way in helping care for the animals. Thank you for caring about our pets. This donation is Zelda approved! September 19: In the Brenham Banner. 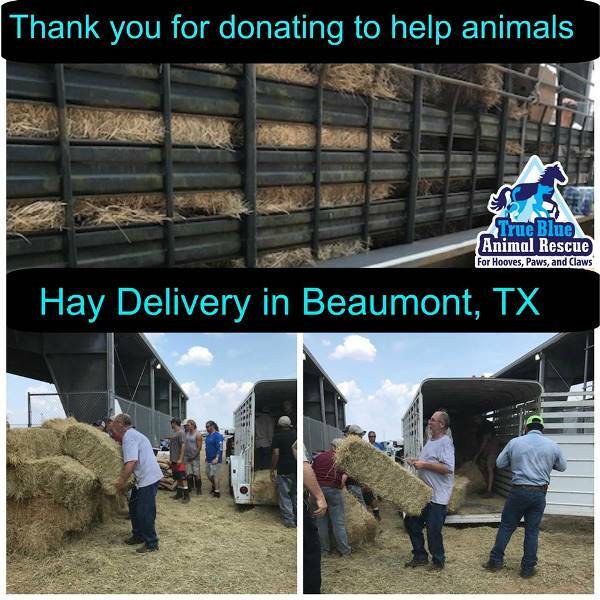 We love our community, we all support each other and work together in Washington Co.
September 13: Thanks to hay donations from Peach Pit Ranch, Shelli Schmidt, Dan Matula and Diane Holt we were able to bring hay to staging locations around Houston and Beaumont. Your generosity helped feed a lot of animals when they needed it most.www.t-bar.org — with Dan Matula. 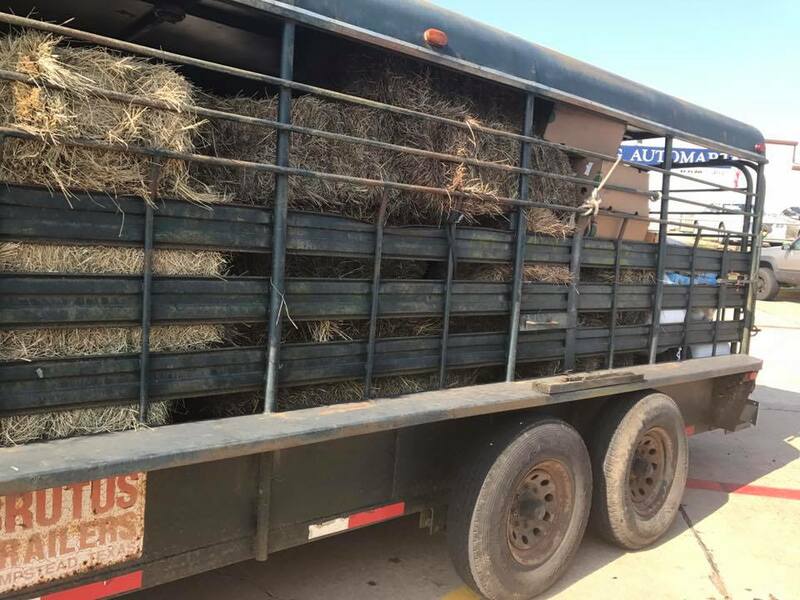 September 5: More community donations to help fill the two stock trailers and pick up truck load of supplies that we brought to the Ford Center to help the animals that are victims of Hurricane Harvey. We’re thankful for everyone’s support and will share more pictures and thank yous to all those who helped as time allows. 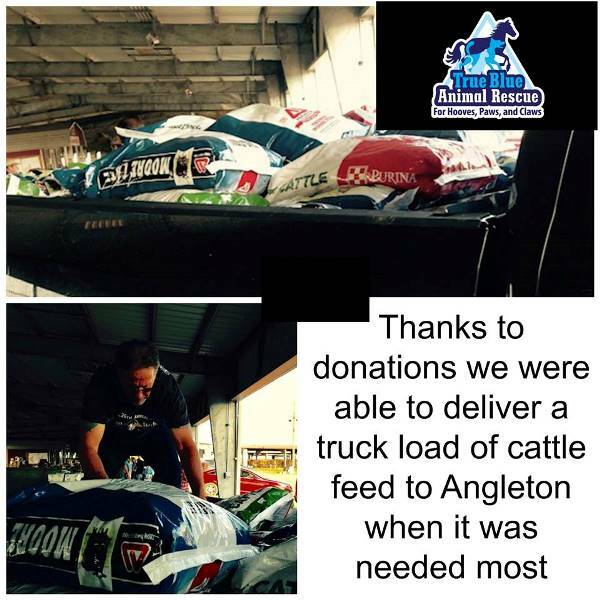 September 4: So many people worked so hard to gather donations and get them to the animals in need. 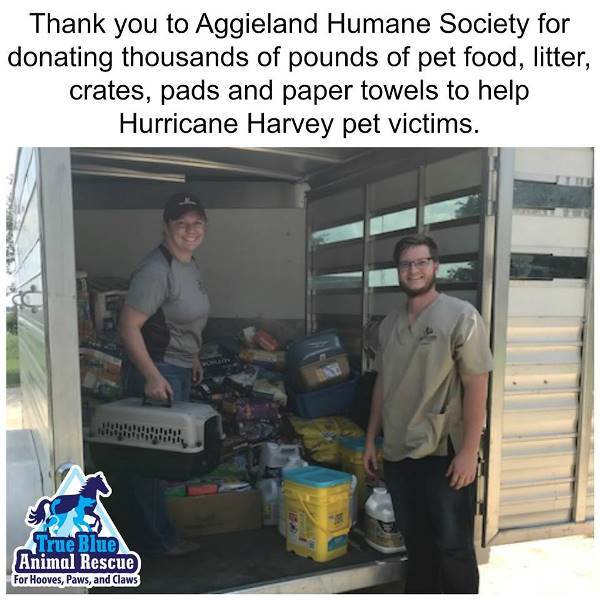 Aggieland Humane Society out of Bryan, TX is one of them. Their supplies were used at the Ford Center to take care of the animals. Thank you Leiha, for coordinating and delivering the supplies. We even used the bunny cage for a displaced bunny that came in. ? ❤️ ? 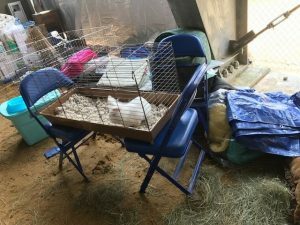 Here’s the bunny, safe and comfortable in the cage that was sent by Aggieland Humane Society Thank you!! 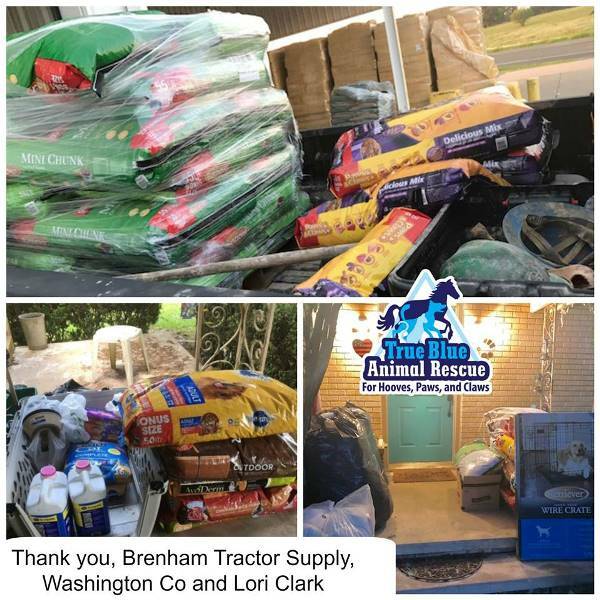 August 31: We are ready, willing and Able to bring needed supplies to those sheltering animals. We need your help so we can bring what’s needed. Please donate! I just spoke to Jackie from Texas Equine Angels. She’s at the race track caring for the displaced horses. She gave me an updated list of what they need: Wheel barrows, muck rakes, electrolites, bute, wraps, safe choice feed and hay! We’re going to get those things together today and make a trip down there this evening. Please donate to help us purchase everything needed. Once we have her list filled we’re going to go to locations in Katy and then to Beaumont as soon as the roads are clear. 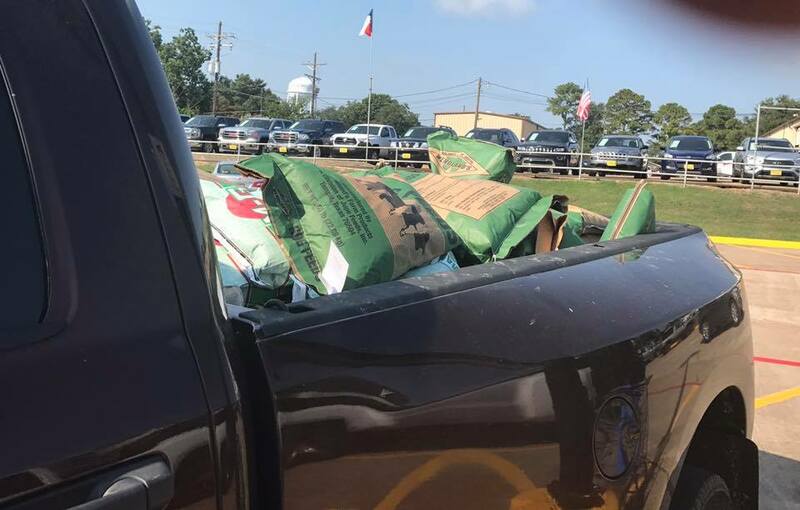 August 29: Pet donations needed for the displaced animals from Hurricane Harvey. You can donate items or send money so we can buy what they need. 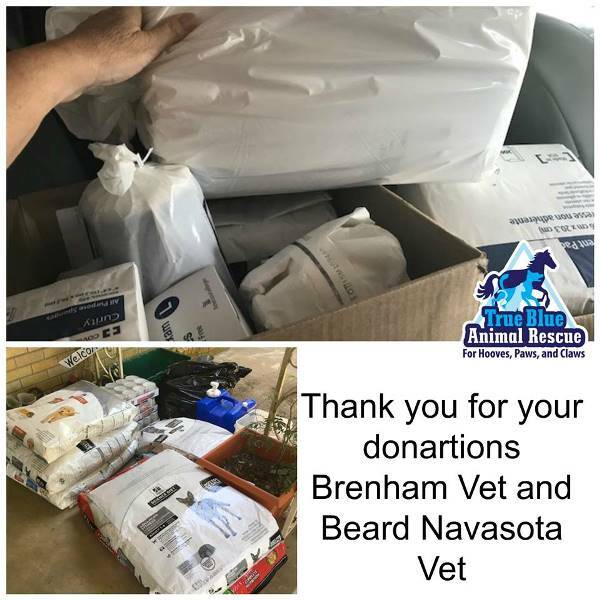 Donations can be made to True Blue Animal Rescue via pay pal on our website www.t-bar.org so we can buy items or to donate items call 979-277-4746 or 979-451-3894 and we’ll let you know where to drop things off. You can also call either Tractor Supply in Brenham 979-836-9797 or Brenham Produce 979-836-3523 and make a donation to purchase items for the Hurricane Relief to be picked up by True Blue Animal Rescue. 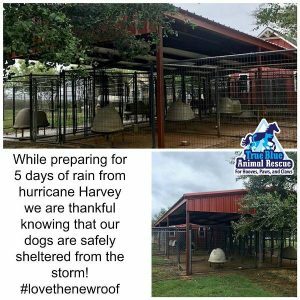 We will be dropping things off on Friday Sept 1st to locations where animals displaced by Hurricane Harvey are being held.